Students who attend Slovenian international schools generally perform very well throughout their academic careers and emerge well prepared for life’s challenges. At the conclusion of their studies, students receive the IB Diploma, which is an excellent point of departure for admission to leading universities throughout the world. 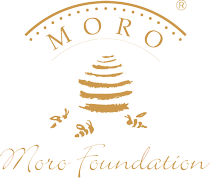 The Moro Foundation is dedicated to international students who come from more than 40 countries across the globe and who are currently studying in Slovenia. Our students attain exceptional results in various fields, both at the national and international levels. Leon Buche: Leon was accepted into the Hans Eisler High School for Music in Berlin at the age of 7 and went on to the University for Art at age 12. He is a talented young composer who wrote the successful “Harry Potter” symphony in 2002. Sara Isakovič: Sara is a sports hero. She earned a silver medal at the 2008 Beijing Olympics and is currently studying at Berkley University in the USA. Primož Škraba: Primož graduated from Stanford University in electrical engineering and subsequently published his book entitled “Distributed Computing in Sensor Systems”. Hari Adash Sripathi: Hari is a renowned specialist in modernization. He was selected for the Youth Scientists Programme at the Indian Institute of Science.